THE MARTIAL ART OF WELLNESS: Eating Freedom! As a teenager I was already questioning the myriad of eating recommendations despite my own diet being pretty normal. My parents had provided the local diet of meat, vegetables and fruits occasionally adding a few current trends of their own. Then at 14 during a stay at a yoga camp I was introduced to vegetarianism, and, a little later, to macrobiotics – each with their promises of long life. Call it a blessing or maybe a curse, but it opened my eyes to our choices very early on. Yet I saw some people who had what I considered to be poor or even bad diets still living long and healthy lives. Some of course were not so lucky, but then neither were others who had followed a good nutritional path. All of them had one thing in common – they knew nothing of vitamins, proteins or Omega 3. There was, it seemed, no secret to a long and healthy life no matter what people ate. For a long time I was confused and skeptical about the benefits of good or bad foods. I rejected dogmatism, but stayed curious. I read many books on diet and nutrition; I was vegetarian at times and even fruitarian for a while and, more recently, vegan. I studied and tried super-foods and supplements and, as my Naturopath career progressed, investigated conventional and alternative nutrition. Though I learned many details and facts, it seems I learned only one thing: there is no ONE answer in any ONE book. Gradually over the years of learning and experimenting, I turned away from classical nutrition models – those with standards that prescribe foods as daily requirements of 50mg of this and 400mg of that. I turned too from alternative medicine models which suggest certain nutrients in foods, supplements, herbs and even spices have certain healing properties. To me, all appeared little different to traditional ‘allopathic medical’ models. So today, in this spirit of evolution and freedom from conventions I write about EATING FREEDOM. I offer you several trigger concepts which may shift your nutritional views and help you break away from constrictive traditions and addictions. WARNING: In no way do I intend to sway you from your diet or beliefs – especially if it is working for you at this time in your life. I am not recommending diets or specific foods. No matter what your choice, so be it. What I am offering you are suggestions of flexibility and freedom from rigidity. After decades of dieting, America is no thinner. Nutrition linked diseases such as heart attacks, cancers, Alzheimer’s, diabetes, metabolic and digestive disorders, fatigue, mood issues, and attention deficit syndromes are skyrocketing. Yet have you noticed how things work in the field of nutrition and health? Most media focus on the latest super-food, newest supplement, next toxic food to avoid or the hot breakthrough diet. Round and round we go, and this “simple” yet repetitive formula never seems to end. But is what you eat the only factor in nutrition? Most people know nutrition is about more than just food. Have you noticed how eating under stress affects digestion? Your thoughts and emotions constantly alter your biological balance. Science now understands our unique mind/body relationship. What you think, feel, believe, your stress or relaxation levels, the pleasure and attention to eating, proper chewing or not, the degree to which we feel nourished, the intention with which we choose food – all of these factors and more, powerfully impact the metabolism of every meal we eat. Mind and body have powerful energetic influences on each other. We grow learning to limit our health to nutrition, metabolism and exercise, yet we haven’t quite made the connection that health is also how we think, feel and believe, how we conduct ourselves, how honest and authentic we are, our spiritual connection, the degree of love, pleasure, rest, play and purpose in our life and so much more. When I first started practicing 20 years ago, my fitness clients fascinated me. Most were educated, ate well, worked hard and many followed intense workout programs – yet many had serious health complaints – fatigue, digestive issues, brain fog, mood swings and low immunity. I wondered why they were shocked they weren’t “healthy.” Their logic was, “But I’m doing all these healthy things!” Yet health is not just about diet and exercise – it’s also about who we are at the deepest core of our being. To be fully healthy requires a certain kind of trusting, of allowing, of letting go. I observe an increasing reliance on books, diet gurus, nutritional experts and recently on endless social media posts propagated by anyone. I love experts, I believe I am one, but I acknowledge that the more I think I know, the more there is to learn. I am thrilled when I see experts being questioned, doubted, challenged, and criticized because too often they believe if a diet works for them then it must work for all. Why? People get hooked on health systems either old or new even if they are not easily applied. Some embrace Ayurveda, Macrobiotics, Veganism, Vegetarianism, Raw, or the Paleolithic. Yes, these approaches can bring insight, knowledge and benefit, but reliance often results in fundamentalism, isolation, and a big helping of guilt if you fail! Whether ancient or new, each system needs tweaking and personalization in order to reflect your situation. Macrobiotic principles are powerful and far-reaching, yet what may work well for someone in Japan may not be effective if you’re a white dude from Utah. So why not act more instinctively and intellectually? Take some of what works for you and toss out what doesn’t! Nutrition is not one-size-fits-all. Stop giving your power over to others. Use experts as “consultants,” listen to what they have to say, then make your own choices derived from instincts and experience. We think too much about what we eat and are constantly on the look-out for the ‘answer.’ Yes, science and information are important, but facts evolve constantly. Honor some, forget others, and stop worrying. Leave behind the endless search and self-doubt, embrace your basic instincts and trust in the wisdom of your body. 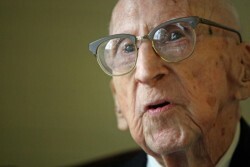 Walter Breuning lived to be 114 years young. He attributed his longevity to eating two meals a day; a big breakfast, a hearty lunch and skipped the rest other than snacking on fruit. For Walter this nutritional simplicity clearly worked! My mother, who knew nothing of academic nutrition, had 12 kids, and no diagnosed diseases, and only succumbed at the age of 90 having slight dementia in her last years. Her ‘science’ was founded in her experience and taste buds. So know the facts but trust your instincts. Listen to your cravings. Experiment. Make mistakes and understand what your body is telling you. Learn to listen to that continuous feedback flow from your diet. Perhaps we are here to learn and our health issues are triggers to the solutions? Most of us see symptoms and diseases as something we catch and then, as our enemy, that we must fight and defeat. On the surface it makes perfect sense to conquer and crush these unwanted health foes – or does it? A long held view in ancient traditions is that every symptom or disease is really an experience designed as a lesson. Is your body trying to tell you something? Perhaps we need to learn humility, or patience, or simply how to slow down and let go of distractions. Once we have learned to hear the message delivered by symptoms then maybe we have a chance of letting it go. If we fight will the symptom grow louder and become a disease? What would life be like if we saw every health challenge we face as an opportunity to grow and evolve? What if we tried letting go of our illnesses and listened more instead? One must have a higher purpose? Every day I hear from people on a “health crusade” and I’m amazed at how they’re able to follow a strict diet and fitness program to be healthy, have lots of energy, endurance, strength, or a beautiful body. For sure, I love health too, I teach about it with passion, but what if I told you it may not be enough? The field of nutrition has been taken over by nutritionists and other “experts” each with dogmas reminiscent of religion. 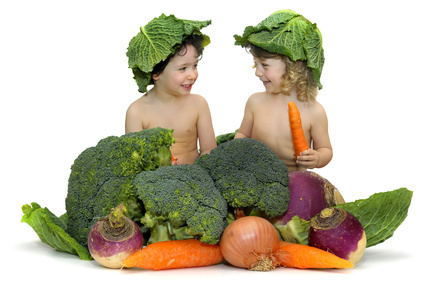 They tell us to follow their commandments piously as good boys and girls to ensure a place in nutritional heaven. Is this more reason to practice self-empowerment, to question assumptions, review our health strategies, to put our beliefs under the microscope and instead try what may truly work? Like most children I remember JUST eating with pleasure or sometimes not, based on whether the food tasted good. Proteins and vitamins had nothing to do with it. Maybe we should practice this art of appreciating our food for its taste first and gradually train ourselves to appreciate more “scientifically” healthy foods. If we can have tolerance for viewpoints, endless conflicting studies and experts each espousing their way as best – then we can JUST eat again and enjoy good food – whatever that meal may be. How about Eating Freedom for you, for life, for free! We don’t want to spend all day planning our meals, we want to get it right now and enjoy! Eating Freedom can be a blissful and lifelong lifestyle, one I believe we can all seek and achieve. As wellness warriors listening to our body we become skilled at reading our symptoms and in becoming aware. Wellness warriors, it’s time to wake up and do something different! Don’t accept your symptoms or wait for extremes and visit a doctor. Instead, gradually improve your diet or perhaps gently lose weight. Whoever you are, I invite you to practice Eating Freedom for life. I am 100% in agreement with you. I feel most of us have lost our mind/body connection and therefore, given our innate healing power to nutritional dogmas, scientific fads and the so-called experts. Thank you for this important reminder!